Starbucks locations across the country will close their doors for a day to train 175,000 racial discrimination workers in one of the biggest corporate responses to a racist-profiled incident. One step CEO Howard Schultz says is "just a start." 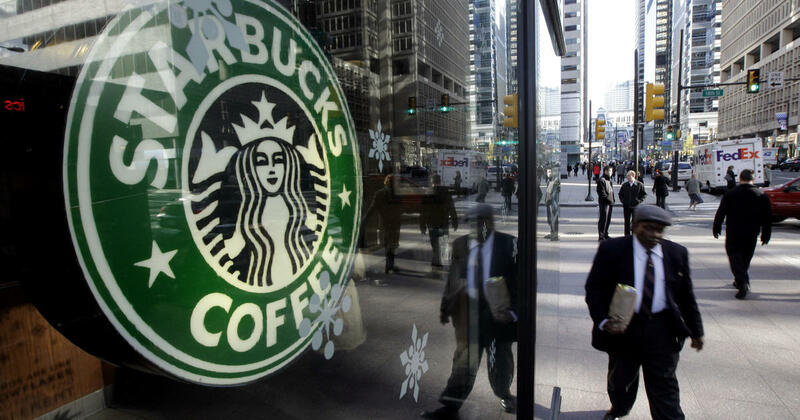 The training is part of Starbucks efforts to overtake the company's image following the arrest of two black men at the Philadelphia site in April. In the incident, a Starbucks manager called the police after the two men refused to buy and said they were waiting for a business partner. The incident triggered protests and violated Starbucks reputation but his commitment to close deals while training his employees on racial bias was "unprecedented," said Heather McGhee, president of the leftist think tank Demos and the Starbucks pro bono advice for the training gave. But the effort is only a first step in what she calls the coffee chain a "multi-phase process" to tackle a difficult problem. 1; it's an American problem," McGhee said in a conference call to discuss the training. She added, "We will not be rubber stamps" giving the all-clear on bias in shops and other places. An afternoon of training can solve deep problems like discrimination or treatment clients no different because of their race, said Keba Konte, founder of Red Bay Coffee, an Oakland, California-based coffee company whose staff includes women, people Paint and people who had been imprisoned before. He said he would like Starbuck's managers and managers to be as different as the customers they serve. "It will not be really enough if they stop here," Konte said. "Racial bias is built into our society, and that does not change in a few hours of training." Even if it does not solve the deadlocked problem of social bias, the training will "get everyone to buy the idea. It's an important issue in closing the deal," said Oliver Cooke, head of recruiting firm Selby Jennings. "There's an element of PR involved, showing the general public that they are serious and showing that the workforce is taking them seriously." A Starbucks spokesman said Tuesday's training was part of a larger commitment to fight corruption. Prejudice Education. "This is a long-term effort and we plan to face all kinds of prejudices in the weeks, months and years," he said. Stanley Nelson, an ingenious MacArthur Foundation comrade and documentarist shot a short film titled "You're Welcome". Nelson is known for films such as "The Murder of Emmett Till" of 2003 and "Freedom Riders" of 2010. "What surprised me was Starbucks readiness to see how important it is to make a film This issue is considered more civil rights issues, "said Sherrilyn Ifill, president and director of the NAACP Defense and Education Fund during the conference call to talk about the training. Starbucks co-founder Howard Schultz will appear in a video to speak to staff members as well as other top executives such as CEO Kevin Johnson. The rap performer Common will also appear, the company said. The message of Schultz seems to focus on placing inclusiveness "third place" or the idea that Starbucks offers a third place where people gather between home and work. "They have made it clear that they can not have a third place for all Americans if Americans of all backgrounds do not feel welcome," said McGhee of Demos. Employees participate in "small self-guided groups" to talk about racial bias and how race affects them. The stores will receive "tool kits" that help employees discuss these issues, the company said. Executives and managers are also undertaking anti-bias training, Ifill said. "One of our very early conversations is that the management team has to undergo training before May 29," Ifill said, adding that store executives had been trained earlier this month. The Starbucks spokesman said the managers are undergoing the "same training" as their baristas.